For the past 27 years, BOND, the Brotherhood Organization of A New Destiny has hosted successful events and conferences for men and families, and this year is no exception. 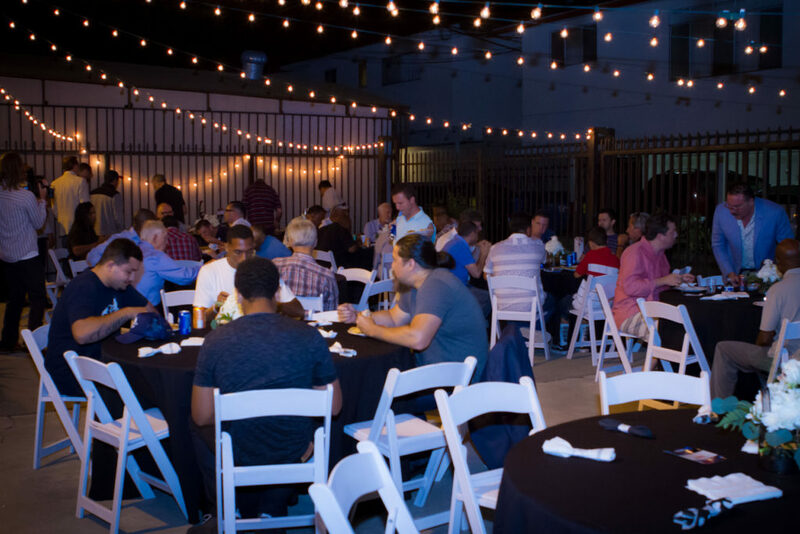 On June 17th, BOND hosted its 8th Annual Conference for Fatherhood and Men and it was a huge success! 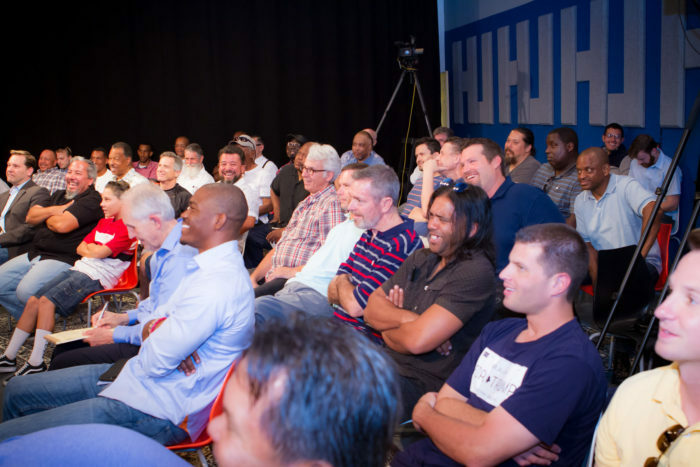 Men of all ages and races from across the country attended the event during Father’s Day weekend. 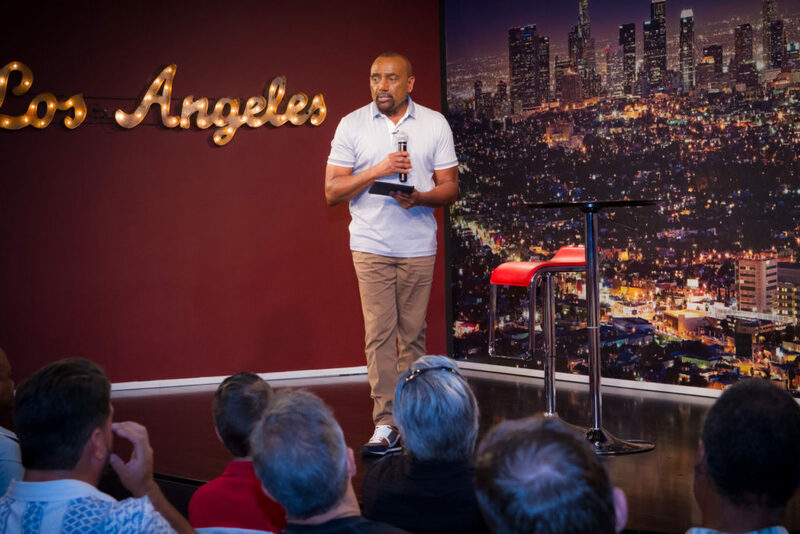 The conference featured comedy, powerful and thought-provoking speakers and panel discussions, and a unique workshop led by BOND Founder and President, Rev. 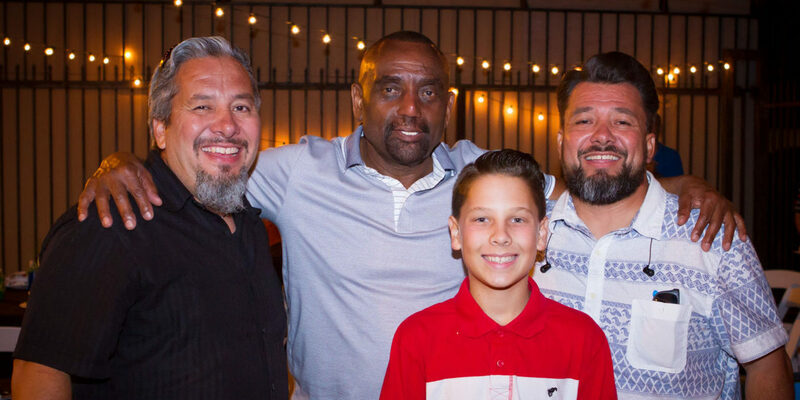 Jesse Lee Peterson. The first panel featured CJ Johnson, CEO and Founder of Januel+Johnson—a Los Angeles based digital marketing agency; Robert Bakke, NASCAR driver, jet Captain and author; and Tim Alexander, filmmaker, father and family advocate. Jesse Lee made the point that most kids don’t want or like stepparents. No matter how nice the stepparents are kids yearn for their biological parents—especially their fathers. When men and women create “blended families,” the children feel they have to fight for their parent’s attention, and this causes them to be resentful and angry. It’s bad enough that children of divorced parents have to suffer the trauma of their parents splitting up; parents shouldn’t compound the problem by forcing their children to accept a stepparent. 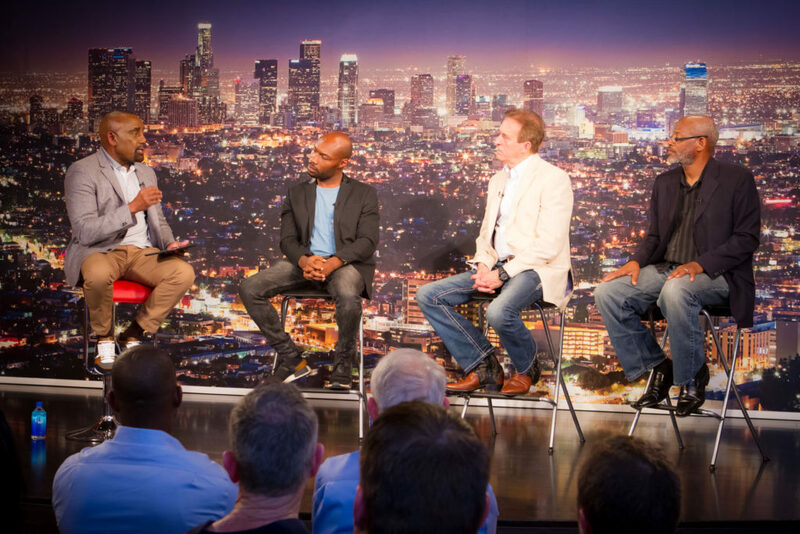 Two of the panelists disagreed with Jesse and tried to make the case for stepparents, but no one denied that a stepfather—no matter how well meaning—could never fill the yearning that a child has for his/her biological father. The panel also discussed the harmful impact of anger on families and children, and the need for men to overcome this destructive spirit, which first starts in the home with failing, angry parents. Jesse asked who in the room has anger and most of the men, including the panelists, acknowledged that they struggle with anger at times. Some tried to justify it by saying “everyone has it” or that “it’s a part of being human.” The men said they truly enjoyed this eye-opening and helpful panel. 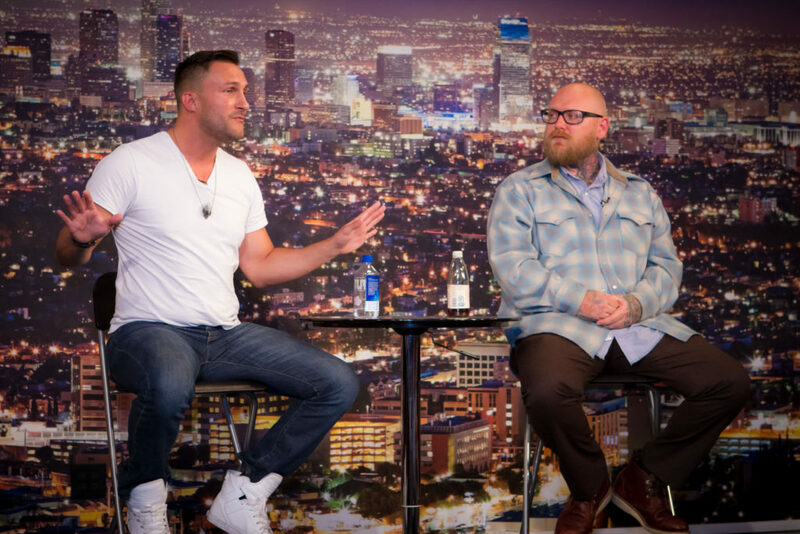 The second panel was a dynamic open forum discussion with audience Q & A. Panelists for this forum were Jerod Zavistoski, life coach and author of “The Methodology of the Modern Male,” and Cody Rutland, member of Proud Boys. The discussion focused on the state of the “modern male,” feminism, and whether men today are better off than their fathers. The panel discussed the crippling fear that consumes many millennial men when they’re confronted with situations that require them to speak up to “strong” women. The men also talked about the growing attack on straight white men and how they should respond to false accusations of “racism” and “sexism” by Black Lives Matter types and radical feminists. The panelists were very open and honest. Panelist Jerod Zavistoski admitted that at times he’s afraid to speak out about race issues because he doesn’t want to be ganged up on and attacked by groups online. Cody Rutland of the Proud Boys—a pro-Western fraternal organization for men founded by publisher Gavin McInnes—said he has no issues speaking his mind. He added that he’s become much more outspoken since joining the Proud Boys. Next up was a special presentation on health and fitness by Patrick Rooney, Founder and Director of Greek Physique, LLC. Patrick gave a very educational talk on “How Men Should Eat and Train.” Patrick relocated from Los Angeles to Nashville, TN, where he operates his business. He’s a featured columnist with The Tennessee Star. Patrick works with men and women one-on-one or in groups (in-person or online.) He also had one of his clients give a powerful testimony about how he was able to lose significant body fat and correct physical weaknesses working with Patrick. The program concluded with a moving testimony by Jesse Lee Peterson. Jesse talked about the importance of putting God first in all things. He spoke about how he forgave his mother and father some 29 years ago, and God removed the spirit of anger from his heart. As a result, he saw the urgent need to help black men and families and started BOND—which has been “Rebuilding the Family By Rebuilding the Man” for almost three decades. 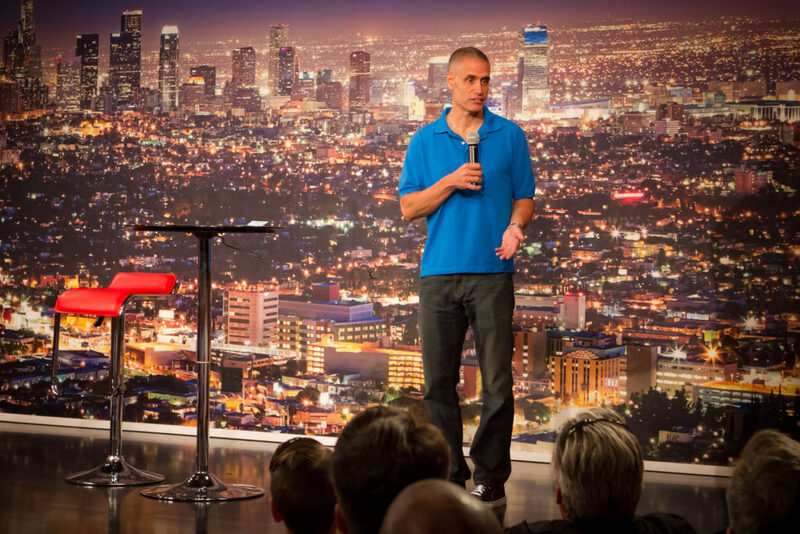 Jesse also took plenty of questions from the audience about spiritual, family, and business challenges and imparted simple and honest words of wisdom to help the men. The evening concluded with dinner on the patio catered by Komodo Café. There was also a raffle with great prizes to help raise much-needed funds for BOND. Thanks to all the panelists, speakers, attendees, and volunteers for making this event the best to date. A special thank you to the Sponsors, particularly our Premier Sponsors, Phil Liberatore, CPA (StopIRSPain.com), Seton & Associates (SetonLawGroup.com), and Matthew 25:35 Foundation (Matthew2535.org) for making this year’s conference possible! BOND is a nationally recognized 501 (c) 3 nonprofit organization founded for the purpose of “Rebuilding the Family by Rebuilding the Man.” BOND doesn’t accept any government funds, and we rely on your donations to operate our programs and services. To make a donation, click here. Pingback:Emergency Appeal--We've been forced to move! We love you, Jesse…you are wonderful and blessed….thank you for bringing unity…..and for speaking of our Lord Jesus Christ. Black and white must unite for God to bless our nation….you are soo truly amazing! !